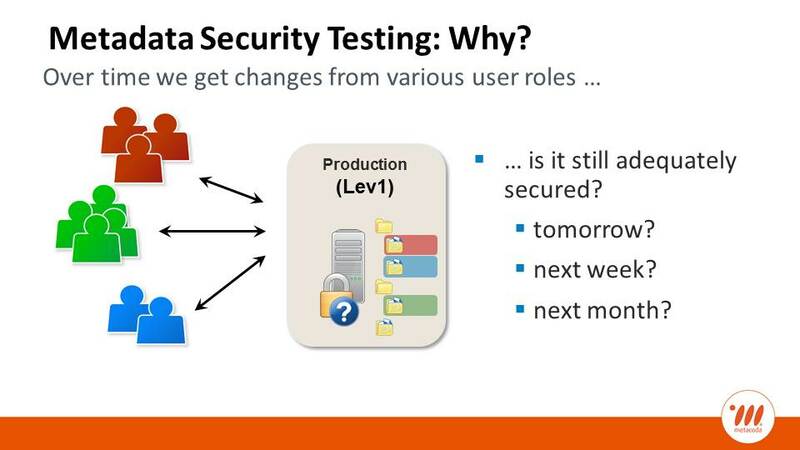 How do you ensure your SAS platform is secure? utilize an automated security testing framework to address regulation requirements. Contact us for a free thirty-day evaluation or visit our stand at SASGF. As part of her myth-busting data science series, last year Anita Lakhotia, Senior Marketing Manager at SAS Heidelberg, asked Michelle a few questions on myth-busting about SAS communities. 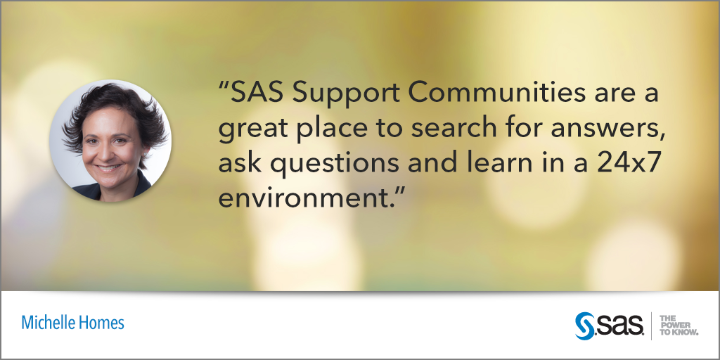 Since SAS Institute’s inception in 1976, the SAS community has grown incredibly and evolved to the point where people can now learn in a 24×7 environment from others all over the world. At Metacoda, we love being part of the learning environment. See our recent blog post “Who Has Access to What” for examples of instances where we’ve helped answer questions in SAS Support Communities. If you ever have a SAS metadata security question, please don’t hesitate to ask. When you’re not able to hang out with other SAS admins in person, the next best thing is to join SUGA (SAS User Group for Administrators), in the SAS Support Communities. To get a taste of SUGA, check out the latest SUGA webinar on SAS Grid for SAS 9.4M6. 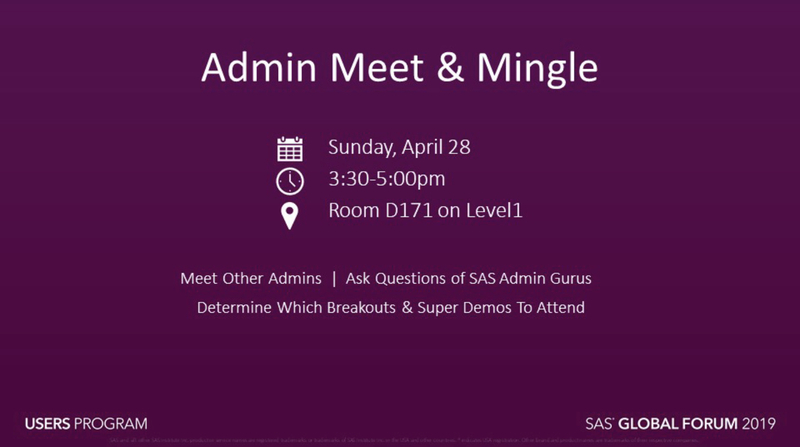 If you’re going to SASGF don’t miss the dedicated SAS Admin networking event on Sunday 28th April at 3:30-5:00pm in Room D171, Level 1 of the Convention Center. 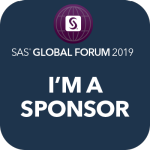 We look forward to meeting and re-connecting with SAS admins in person! 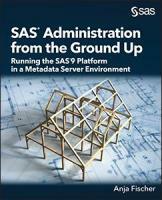 If you’re looking for a ‘go to’ book about the fundamentals of SAS platform administration, Metacoda can recommend Anja Fischer’s SAS Administration from the Ground Up. Released in Q1 2019 by SAS Press, Michelle and Paul were both very excited to be asked to review the book. It includes a range of resources and tips for best practice and troubleshooting, making it useful for new SAS admins as well as the more experienced. It also includes some of the advice that Paul has shared in the admin community, as well as Anja’s views on how Metacoda software helps SAS administrators. Read an excerpt or purchase a copy from the SAS book author page or at SAS Global Forum! 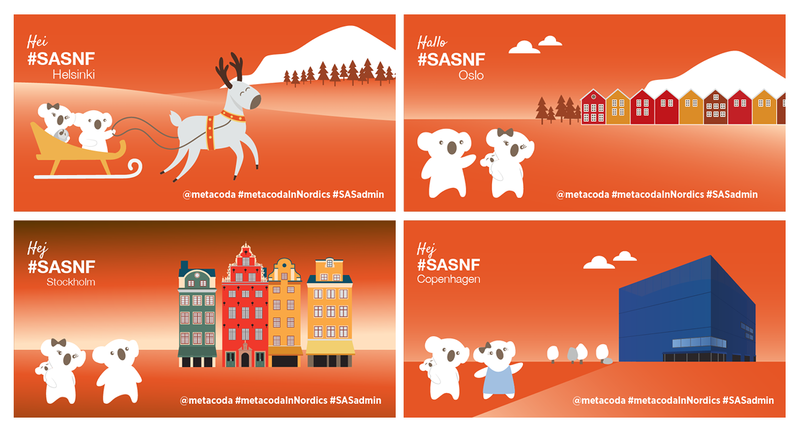 In March, Metacoda sponsored the four Nordic SAS Forums in Copenhagen, Stockholm, Helsinki and Oslo. The events totally embraced the theme of “Be Curious” and left everyone more inspired, informed and connected. Data Science Escape Rooms at each event – read Mike Wriedt Johansson’s learnings on teamwork as a gamemaster at the events. Paul presenting about how Metacoda products can help improve security. For a copy of Paul’s presentation and to read more about our adventures at the SAS Nordic Forums, see our latest blog post. Metacoda Plug-ins 6.1 is now available and has several enhancements including two new plug-ins. 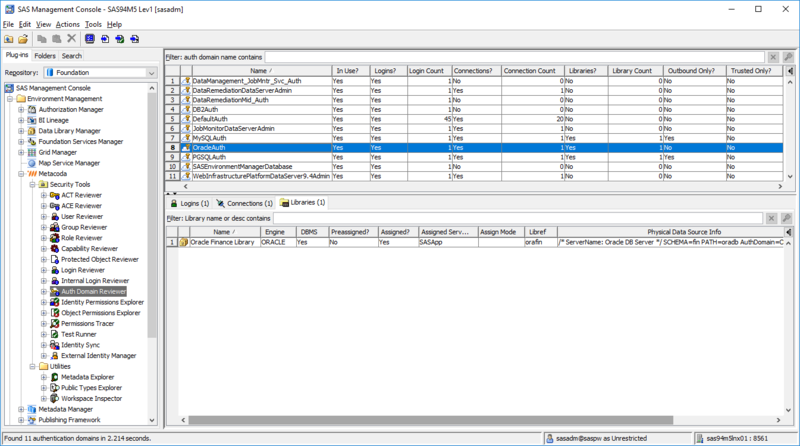 For more details about how the improvements can help new and existing customers, see “What’s New in Metacoda Plug-ins 6.1“. If you have suggestions for a future release, we’d love to hear them! At the SAS FANS Oslo Platform meeting on 28th February, Dagfinn Larsen presented ‘Hvordan ta i bruk Metacoda sin id sync’ – how to use the Metacoda Identity Sync tool to easily import, check and synchronize identity-related SAS® metadata with enterprise directories without the need to edit SAS code. 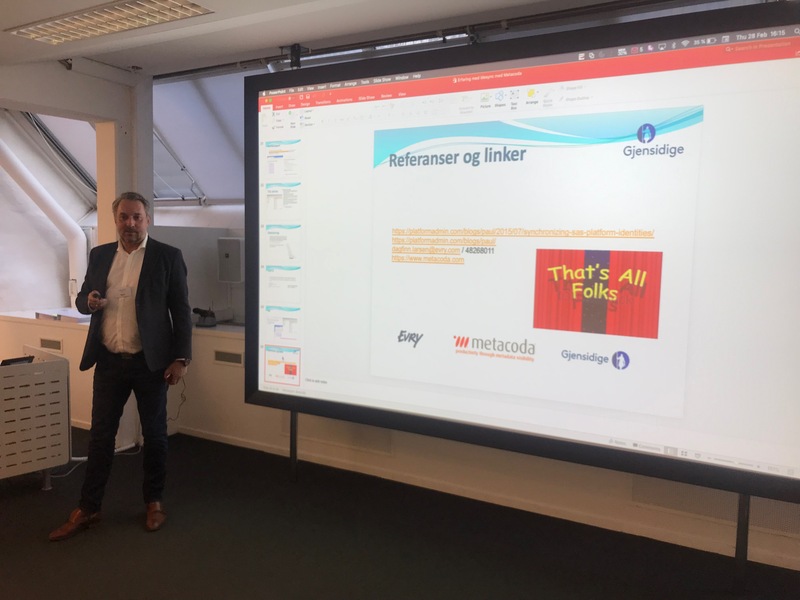 Dagfinn shared their experiences and the benefits for Gjensidige in using Metacoda software. 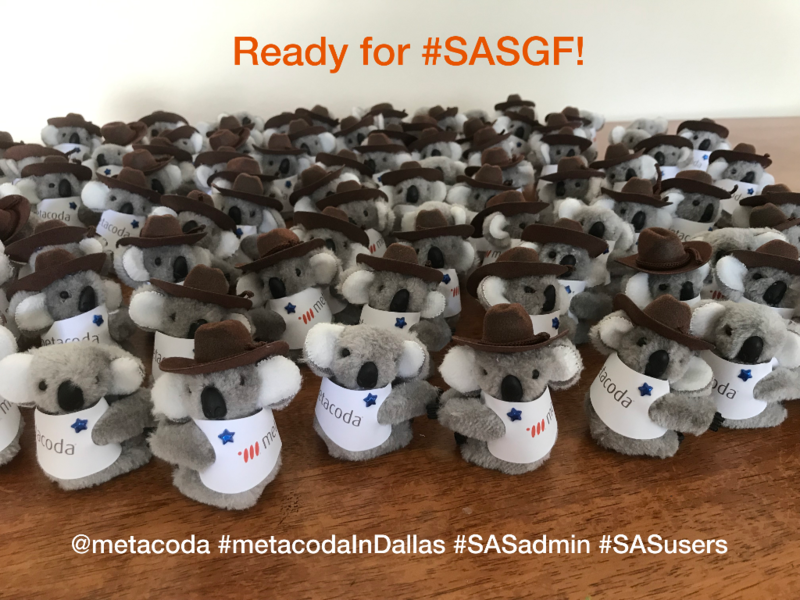 It’s an exciting time of the year for us as we prepare for SASGF! In fact, the Metacoda koalas are so keen that they are wearing special outfits including Lone Star State jackets and cowboys hats! 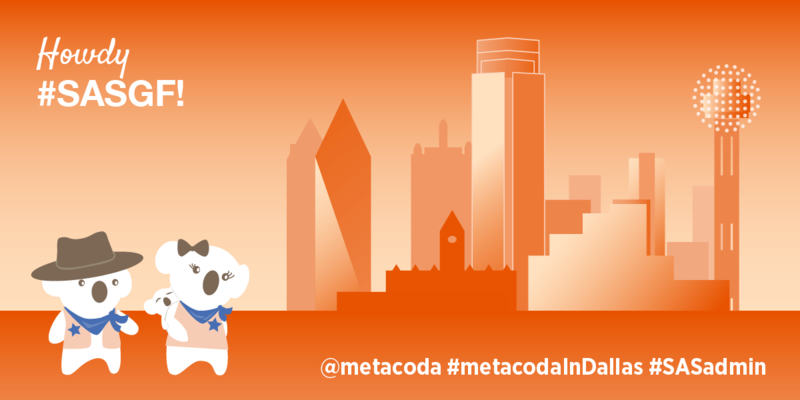 Be sure to visit the Metacoda booth (the bright orange one!) in The Quad, to adopt your very own Metacoda koala, taste some Aussie sweets, and say g’day! We agree! And we hope we get to see you there too.